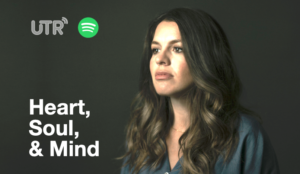 The UTR “Heart, Soul, & Mind Playlist” has been updated on Spotify with a wide variety of 4.5 hours of gourmet music… perfect for commuting, house work, or any time you need to “rediscover your soul-connection to music.” Look below for the full track list and curator’s notes. While the vast majority of songs are recent releases, one of the goals with this month’s playlist was to include some past songs – representing the 70s, 80s, 90s, and 00s (with songs by Jars of Clay, Andrae Crouch, Mark Heard, Leigh Nash, Rick Elias and more). Plus I always love to feature some live performances – this time by Harrod & Funck, Royce Lovett, Amy Grant, and others. However, the true spotlight of the playlist are many brand new songs (or new versions) just released in the first 5 weeks of 2019 – including Jess Ray, Christopher Williams, Cory Henry & the Funk Apostles, Ben Rector, Sarah Masen, Josh Garrels, and a few more.